Sister Marguerite Cook is an Occupational Therapist in the Behavioral Health Unit at Sacred Heart Hospital in Eau Claire, Wisconsin. Sister is also a sponsor for RCIA, a member of the Board of St. Vincent Hospital, Green Bay, Wisconsin, a vocation representative for her religious congregation in Northern Wisconsin, and a member of the Justice and Peace Committee for the Eau Claire Sisters’ Deanery. When she is not busy doing these activities, she loves to cook, read books, write letters or e-mails, play board/card games and visit with students. She enjoys having the students come to the convent for dinner while she experiments with her new cooking creations. Before entering a religious congregation, Sister reflects on a life that was ordinary, dull and boring, but not without God. Marguerite’s interest in religious life began with the Sisters of St. Joseph at St. Rita School in Alexandria, Virginia, where she attended kindergarten through 8th grade. Her family often teased her about becoming a sister, since her kindergarten teacher was Sister Marguerite. She liked the Sisters and was fascinated by their life and their work; but she knew that she was destined for things more exciting than the classroom. She had a dream of becoming a missionary, but along with that was a dream of involvement with the medical profession. She grew up near Washington, D.C., and spent many holidays and summer vacations visiting Washington. She loved politics, military events, especially inaugurations and parades. She came from a military and government-oriented family. Her father worked in civil government, and two uncles served in the military. Eventually, this interest in government drew her into the armed forces. 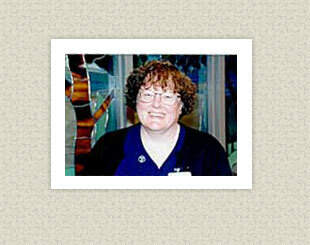 In high school, Marguerite became interested in the Sisters of the Mission Helpers of the Sacred Heart. She became involved with CCD and worked Saturdays as a teacher’s aide. It was during her high school years that she began to explore religious life seriously as an option. She visited several communities around the Washington area, but found the process of looking at the religious orders overwhelming and confusing. She seriously considered the Maryknoll Missionaries while she was in high school, but at that time her health issues did not permit her to join this community. Her love for government and desire to serve the United States during the Vietnam War prompted her interest in serving in the military. In 1968, Marguerite entered the U.S. Navy and worked as a Hospital Corps Wave at Bethesda Naval Hospital. She enjoyed her years in the service and considers that time period as the best of her life. After completing her military obligation, Marguerite returned to school, and eventually worked in the D.C. area as a bookkeeper. During those young adult years, she spent a lot of leisure time with family and friends, wondering if God had some purpose for her other than keeping books, babysitting for nephews and nieces, and chasing six cats. In 1980, she decided that it was time to investigate the persistent and nagging thoughts of religious life. She began writing to religious communities that advertised in the Catholic Digest. She received some articles in the mail from the Hospital Sisters of the Third Order of St. Francis. She had written to that particular Community because it advertised that they were looking for bookkeepers and older women. At that time, Marguerite was 30 years of age and working as a bookkeeper. The attraction of the Hospital Sisters was their focus on hospital work as well as the Franciscan Charism. The rest is easy to relate. Marguerite put all the information received from the Hospital Sisters away for a full year and prayed in earnest for God to tell her what to do. At the end of the year, she visited the Community and knew without a doubt that this was what God had in mind for her. While in Springfield visiting the Sisters, she was entertained with a play the Sisters were making in celebration of the 800th anniversary of Saint Francis's birth. Sister Chaminade Kelley was the Vocation Directress at that time and helped Marguerite in her discernment process. She entered the Congregation in August 1983 and professed her religious vows in May 1987. From 1983 to the present, the story of her life is no longer dull, ordinary and boring. God has called her in many ways and in very different directions: bookkeeper to Alcohol and Drug Counselor, back to bookkeeper, and now Occupational Therapist. Sister Marguerite has made her way back and forth from Illinois to Wisconsin, and out to Arizona to the Navajo Reservation to serve God. She has moved eight times in the last 20 years. She is not afraid of working long hours in difficult circumstances. She enjoys working with people who are mentally challenged, and prefers Wisconsin weather with the colder winters and the cooler summers. She has often stated that she would serve in Alaska if the Community had a mission there! The people of Eau Claire have been very generous in welcoming her into the community. She is very much at home in the hospital and in the parish where she serves in Eau Claire, Wisconsin, not far from the Twin Cities.